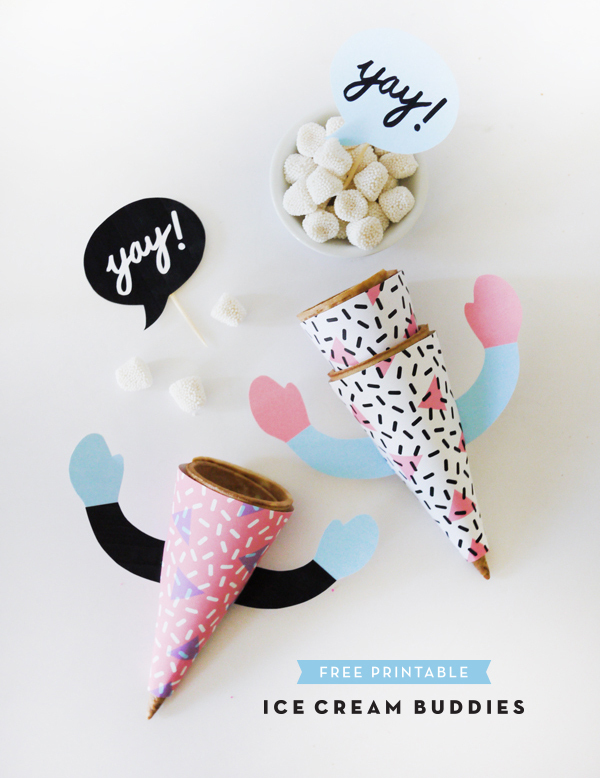 Materials: Printable ice cream buddies template, 8.5 x 11 paper or card stock, scissors , craft knife , tape , toothpicks , ice cream cones, your favorite ice cream! 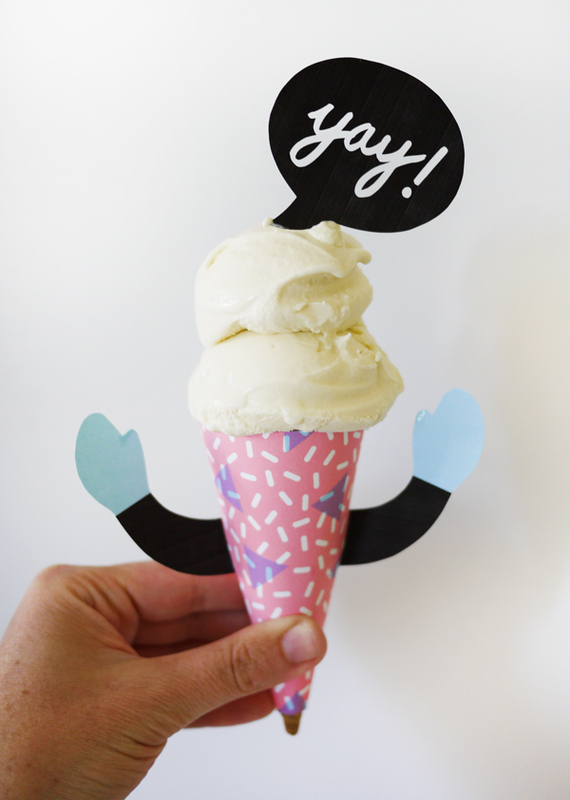 Step 1: Print out the Printable ice cream buddies template on 8.5 x 11 paper or card stock. Step 2: Cut our all parts of the template using scissor or a craft knife. Step 3: Using a craft knife, cut the two lines for arm holes indicated on the template. Step 4: Insert the arms into slots on the wrapper. Turn over and tape the arms to the template. 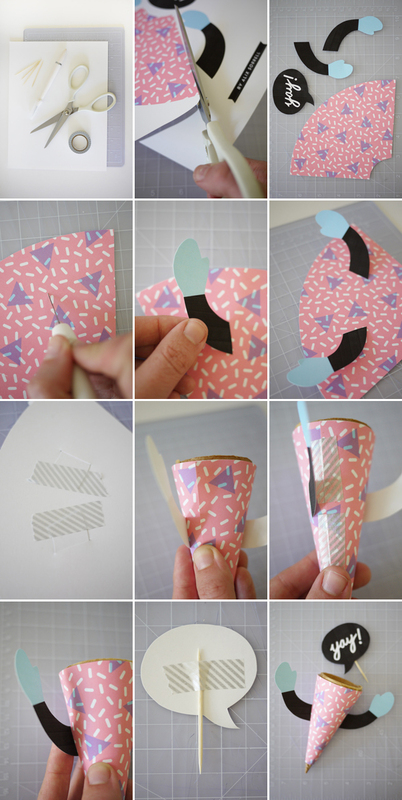 Step 5: Wrap the template around and ice-cream cone and tape into place. The template works for both small & larger cones. Step 6: Once securely on the cone, bend arms forward. Step 7: Tape toothpick on to the speech bubble cut-out. Step 8: Scoop your favorite ice-cream onto the cone. It’s easiest to take the wrapper off while scooping then slide it back on when ready. 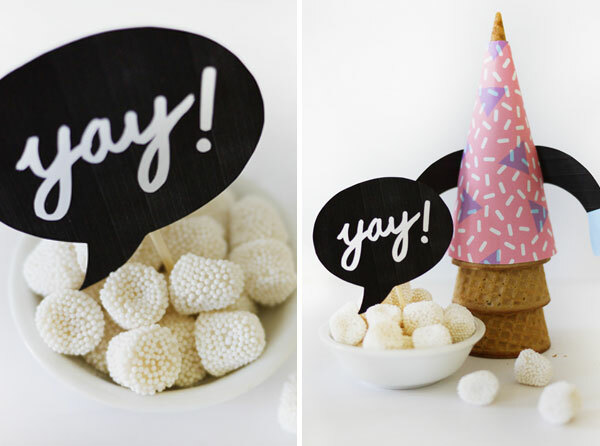 Top with the speech bubble topper & start eating! Wow this is borderline adorable! You guys never run out of fun and creative ideas. Too adorable. 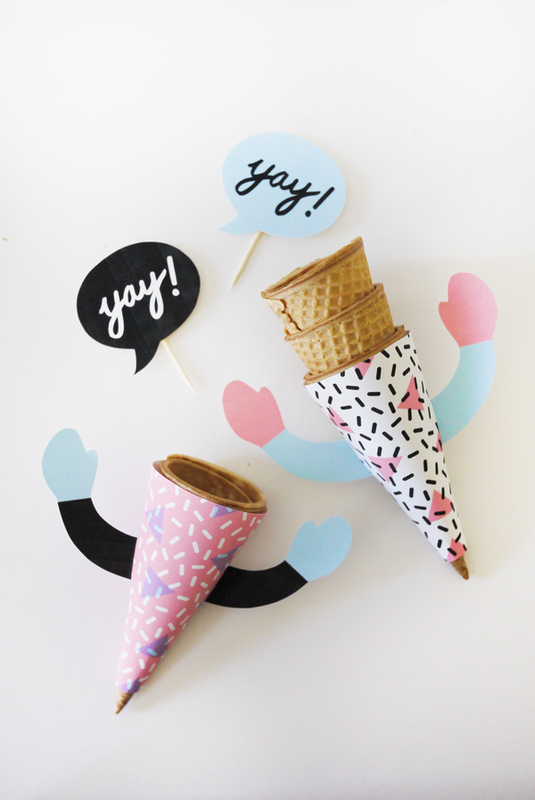 These cones make me want to eat some ice cream now. So clever! These are so cute! I’ll have to use them during a playdate with my 5 year old’s friends. They’ll be shocked and surprised! Fun!